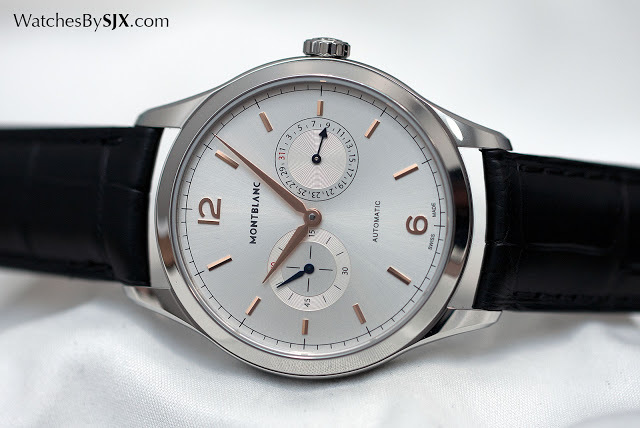 At SIHH 2016 Montblanc continued its strategy of classically styled watches, back by fiercely competitive pricing, including with its new 4810 range. 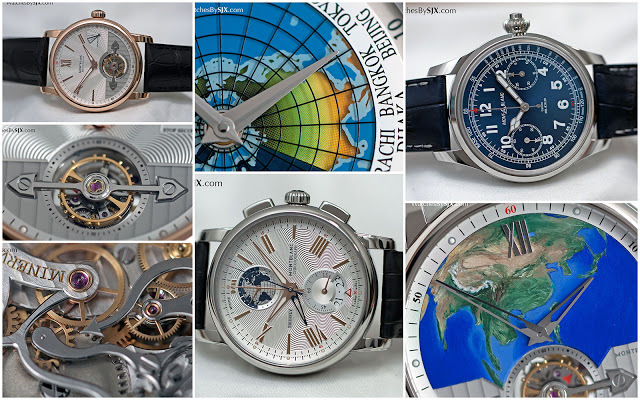 Here's all you need to know about its new watches, complete with original photography and prices. 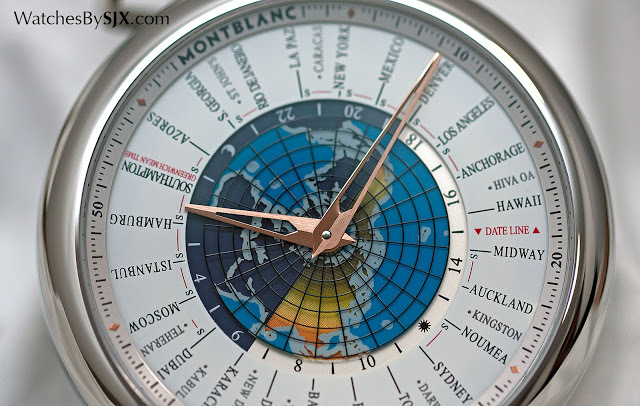 Of the brands that exhibit at SIHH, Montblanc has been the most aggressive in pursuing a strategy of affordability, ensuring all its watches are priced competitively. Each year sees Montblanc introduce a new complication that’s the lowest priced in its segment, something that continued at SIHH 2016. The primary new model line introduced at SIHH is the 4810, named after the height in metres of the Mont Blanc peak in the Alps. 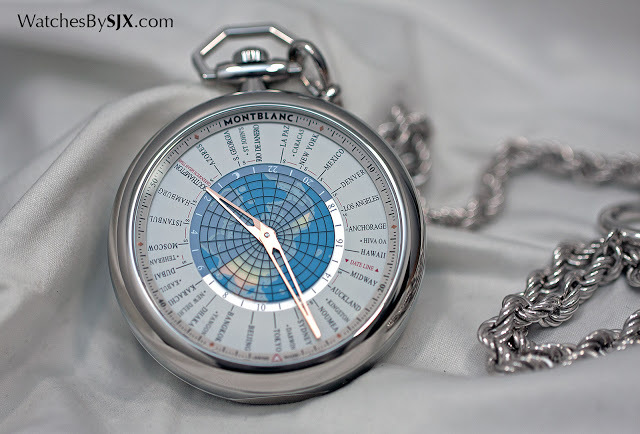 Based on the original Meisterstück watches Montblanc unveiled when it first began producing watches in the late 1990s, the 4810 is made up of classically styled watches that are easy to digest, both visually and cost-wise. 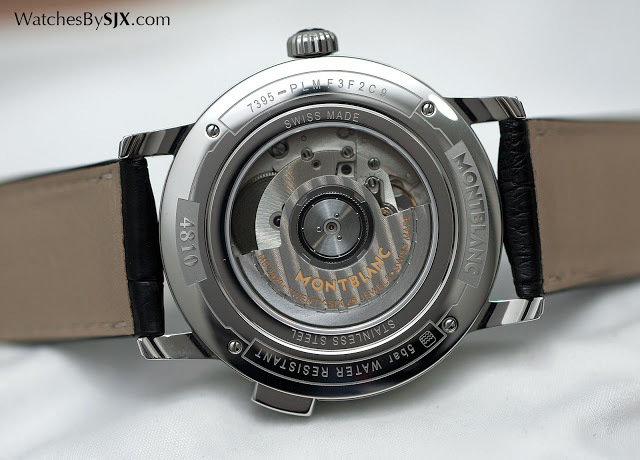 The watches are characterised by thin lugs with a step on the edge, as well as dials decorated with a radial Montblanc logo. The top of the line model is the 4810 ExoTourbillon Slim, a self-winding tourbillon priced at €34,500 in a 42 mm red gold case. Though a large sum in absolute terms, as such things go it’s inexpensive compared to the competition. 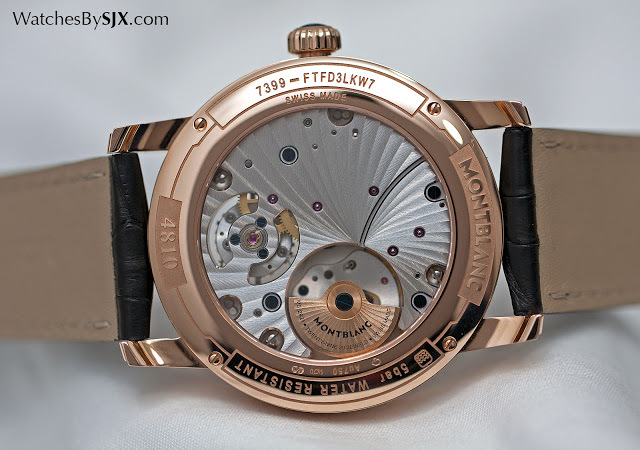 The result is a watch that is handsome, and of course strong value for money, but generally simple in execution – the same that can be said of many of the new Montblanc watches. 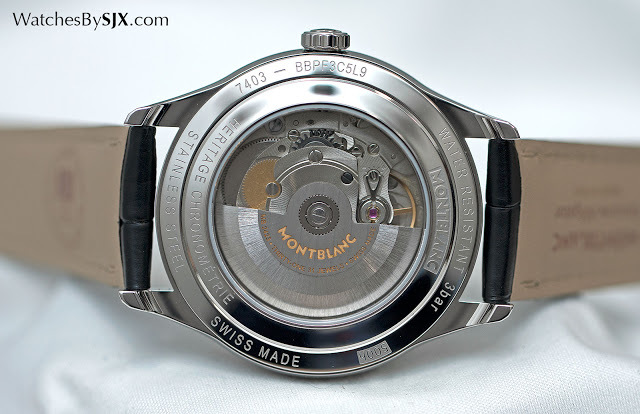 The dial is decorated with a guilloche that’s based on the Montblanc logo, something common to the whole 4810 line. At nine o’clock is a somewhat redundant crown indicator that points to the position the crown is in. 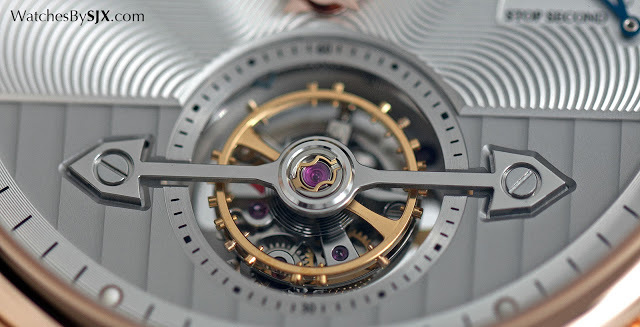 It’s equipped with a modestly sized balance wheel (traditionally big is better) and a tourbillon cage that sits under the balance, instead of enclosing it as is convention, hence the “Exo” prefix; something originally invented for a much pricier timepiece. From the back the view is also attractive, but not elaborate, with the in-house movement featuring a gold-plated micro-rotor. 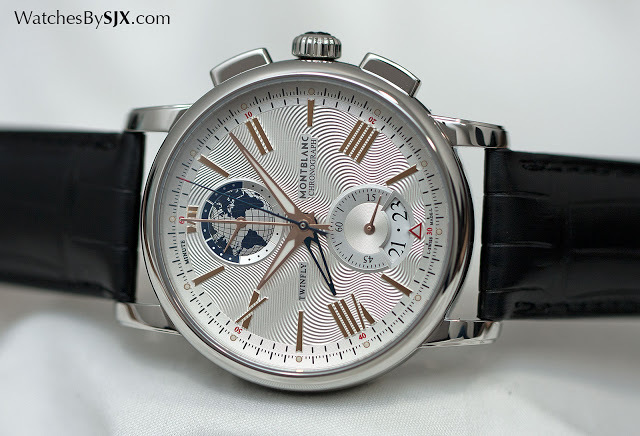 A fancier version of the same watch is the 4810 ExoTourbillon Slim 110 Years Limited Edition, one of a series of watches to mark the 110th anniversary of Montblanc. 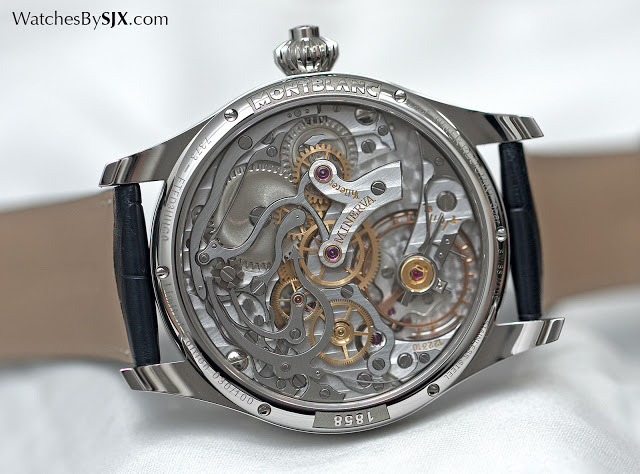 This shares the same 42 mm case, except in white gold, as well as the same automatic movement. 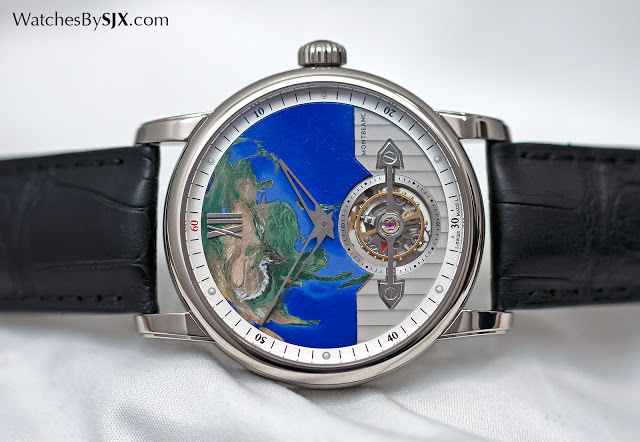 What makes it different is the hand-painted dial depicting the continents. The entire edition is limited to 110 pieces, divided into 36 pieces each depicting North America and Europe, and 38 showing Asia. The dials are painted by hand and look the part, with the continents rendered in vaguely Impressionist style with some untidy edges. Think of it as metier d’art on a budget. The 110 Years limited edition tourbillons will cost €43,500 each. Also part of the 110th anniversary series is the 4810 TwinFly Chronograph Limited Edition 1.110, which is limited to 1110 pieces. 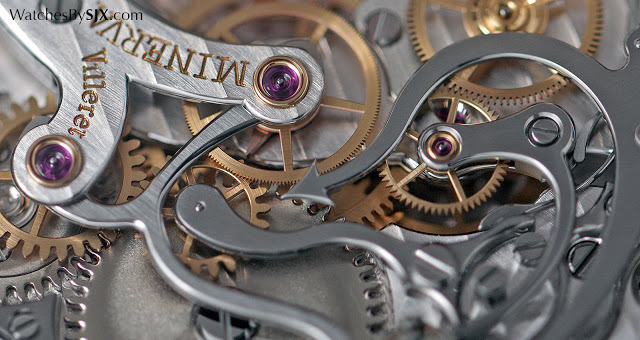 It’s powered by the in-house calibre MB LL100.1 movement, a self-winding chronograph movement with flyback function as well as a second time zone. 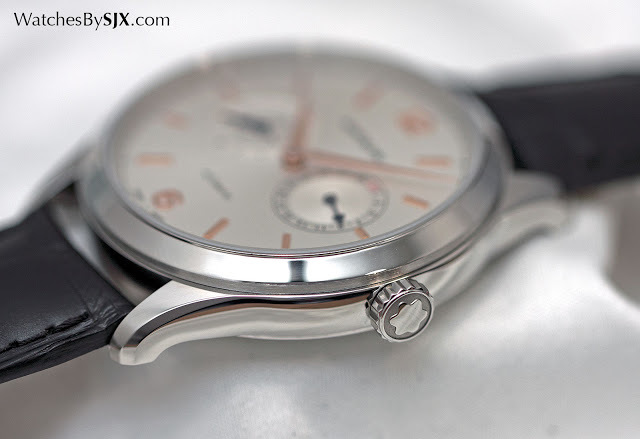 It’s an attractive watch with practical feature, packaged inside a 43 mm steel case. The price is €6900. The last anniversary edition is the 4810 Orbis Terrarum Pocket Watch Limited Edition 110, a pocket watch that can be converted into a desk clock. 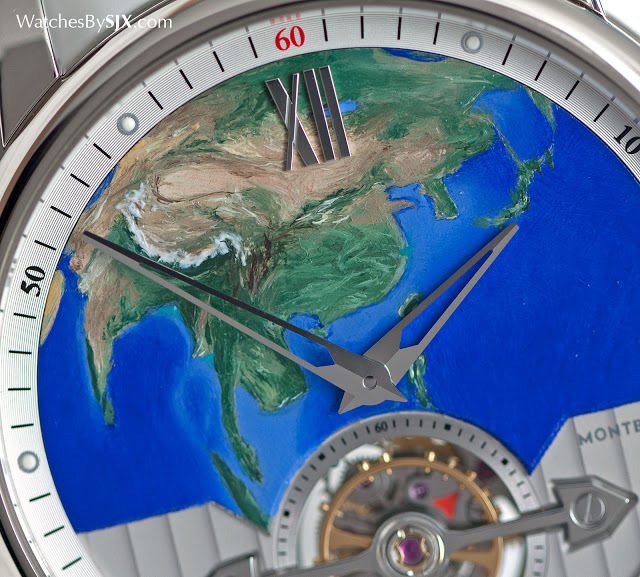 It’s equipped with the same world time movement as the Orbis Terrarum wristwatch, and the case is 53 mm in diameter and in stainless steel. 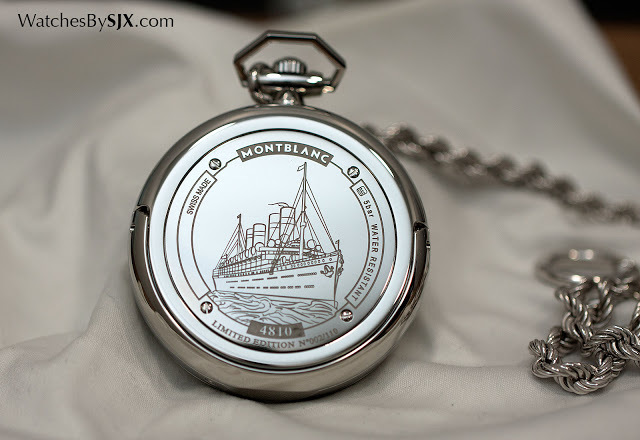 The rear is engraved with the steamship Deutschland, a reference to the maritime heritage of Montblanc’s home city of Hamburg. A semi-circular stand folds out from the back, allowing this to sit on a desk. It’s packaged with a chain that is styled on nautical rope. This is limited to 110 pieces and priced at €8500. 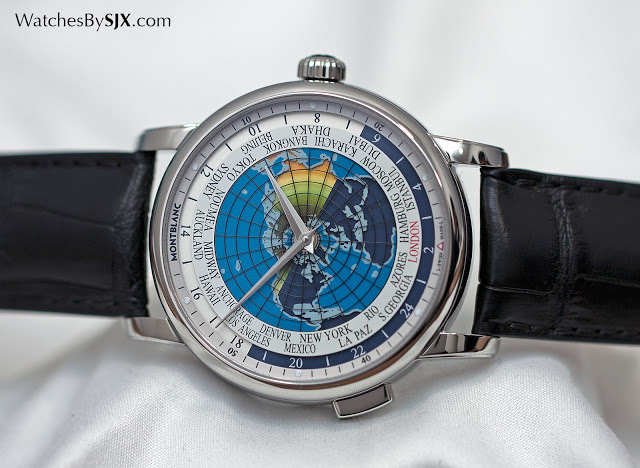 The same world time movement is also used in the new 4810 Orbis Terrarum, a new and slightly improved version of the low-cost world time watch Montblanc launched last year. The case is now larger at 41 mm in diameter, while the functions remain the same: the pusher at eight o’clock advances the hour hand and cities disc. 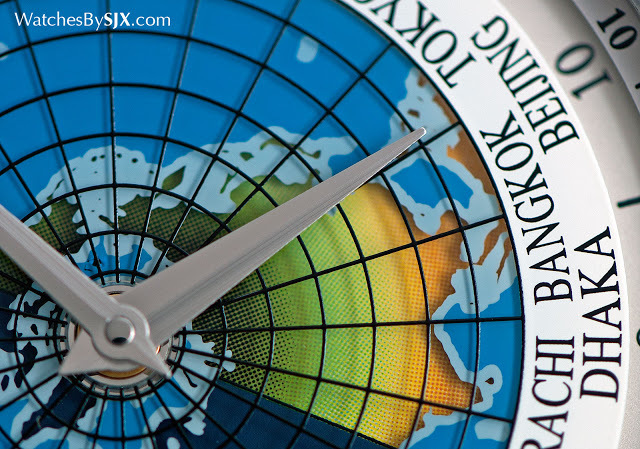 The double-level, shaded map on the dial indicates which parts of the world are enjoying day, and which are slumber. This is €5850. The more basic watches in the 4810 line include the 4810 Chronograph Automatic, a 43 mm, stainless steel wristwatch. It shares the same look as the pricier 4810 TwinFly, but is equipped with a robust and low-cost Sellita movement. Available with a silver or black dial, it will cost €3990. 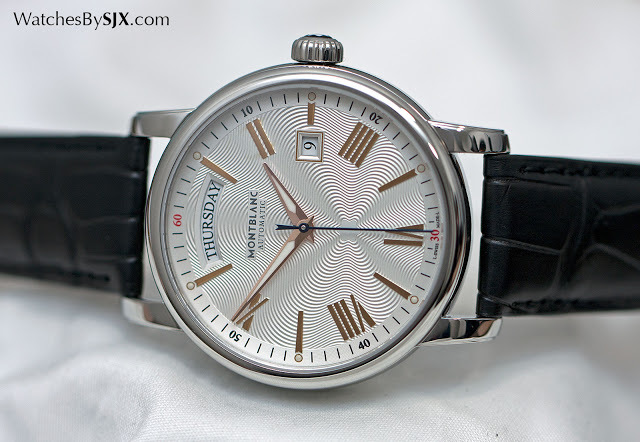 And there’s also the 4810 Day-Date, an automatic with a simple calendar. It’s 40.5 mm in diameter, and also available with silver or black dials. The price tag will be about €2900. 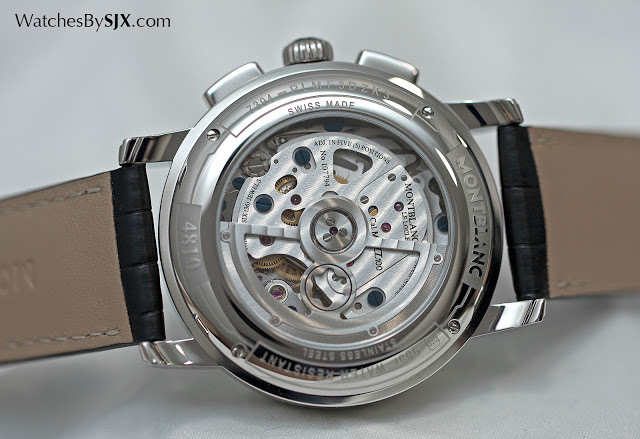 Sans day of the week and slightly cheaper is the 4810 Date Automatic that is also 40.5 mm in diameter. Also new at SIHH 2016 are additions to the Heritage Chronométrie line, which offers slightly more conservative styling. 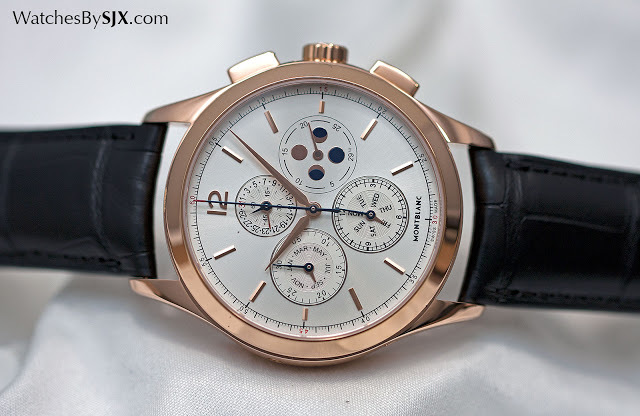 The highlight here is the Heritage Chronométrie Collection Chronograph Annual Calendar that was previewed before SIHH. 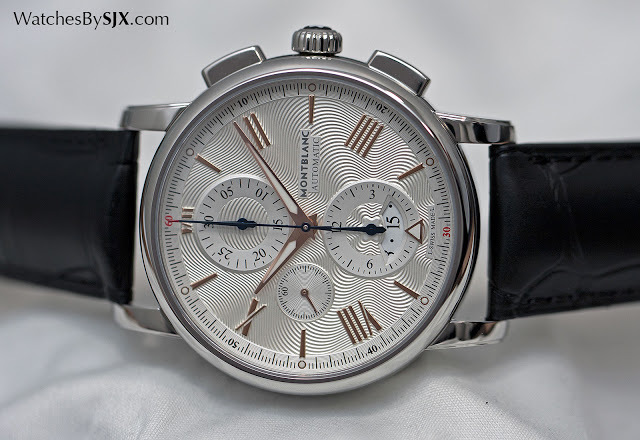 This combines both the chronograph and annual calendar complications in a 42 mm case. The movement is modular, meaning the chronograph and annual calendar mechanisms are modules added to the Sellita base movement, explaining the slightly thick case that’s just under 14 mm high. 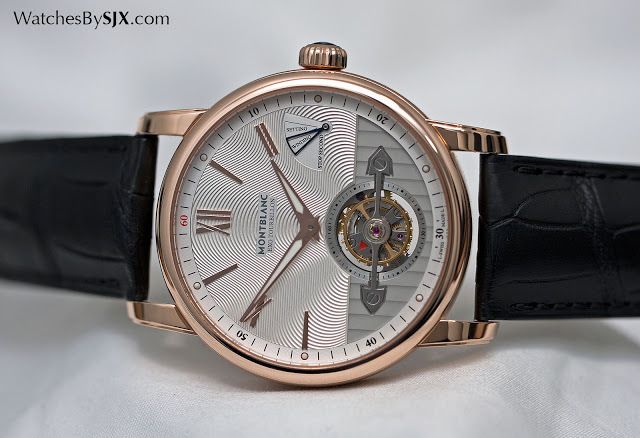 This is €9500 in steel and €18,900 in red gold – the most affordable example of this complication on the market. And for those who want sometime basic, there’s the Heritage Chronométrie CollectionTwincounter Date, priced at €2790 in steel. This has the seconds at nine o’clock, and the date at three o’clock, for a symmetrical dial. It’s 40 mm in diameter, and just under 10 mm high. Also new is the TimeWalker Urban Speed UTC e-Strap. This is a mechanical, Sellita-powered wristwatch with a dual time function, but accompanied by an electronic strap attachment with smartwatch features like message and call notification. 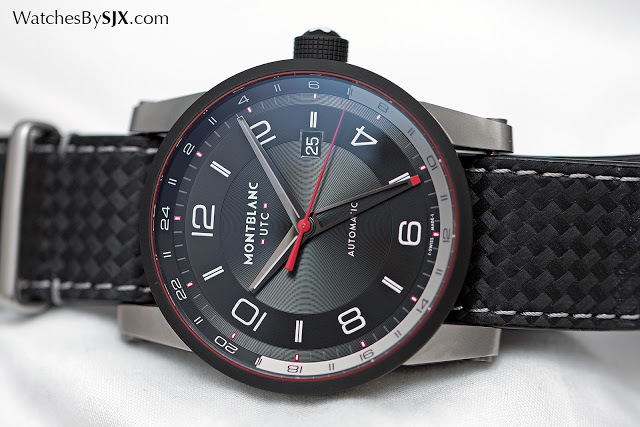 The case is 42 mm and stainless steel, with a black coated bezel. This will cost €3990. 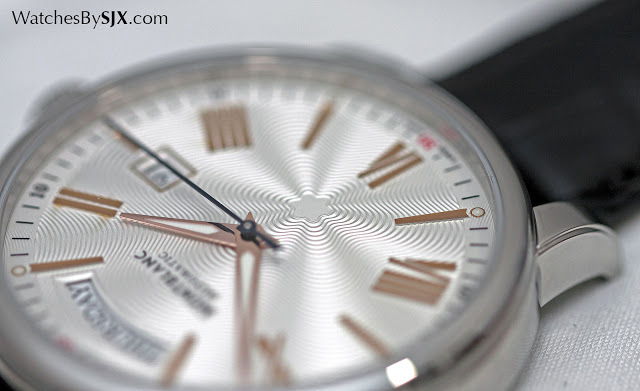 Most, if not all, of the complicated watches shown so far aim to offer more complications for less money. 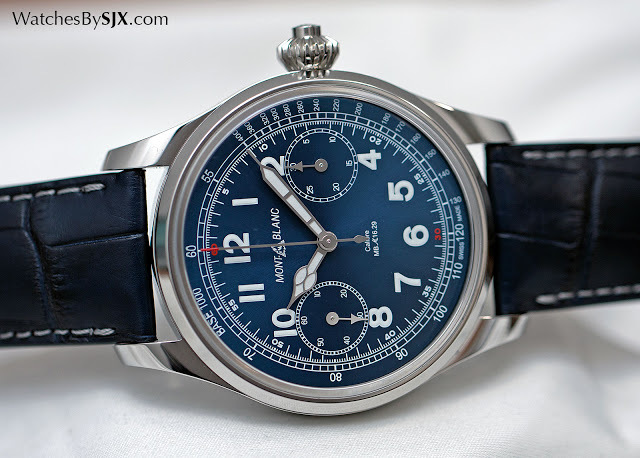 The 1858 Collection Chronograph Tachymeter Limited Edition, in contrast, does less but does it better. It is a mere hand-wound chronograph, albeit of the single-button variety, but equipped with the gorgeously decorated Minerva calibre 16.29, a descendant of a 1930s pocket watch chronograph movement. The large movement means the case is a large but still manageable 44 mm, while the dial is a deep, metallic blue (a black dial version in red gold is also available). 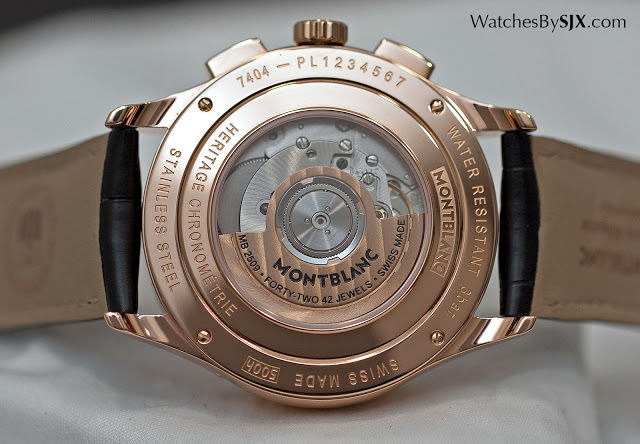 Some might remember when Montblanc first starting selling Minerva watches under its own label it was outrageously ambitious, with the average chronograph retailing for €70,000 in gold. This costs €25,000 (and in gold it’s €35,000) – arguably significantly better value than the simplistic, entry-level tourbillon.